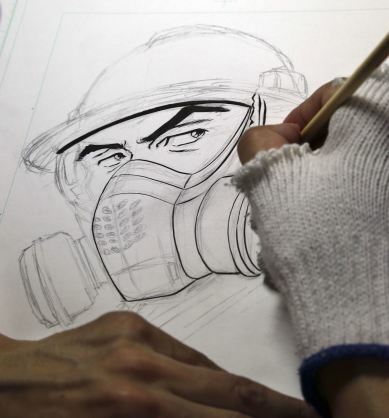 Former Fukushima worker depicts life inside crippled nuclear plant in manga http://japandailypress.com/former- fukushima-worker-depicts-life-inside-crippled-nuclear-plant-in-manga-2646389/We’re used to having superheroes, athletes, samurai, chefs, and even taxmen, depicted in mangaseries, but would you be interested in reading about the “adventures” of nuclear plant workers? Well, if it depicts life at the crippledFukushima Daiichi nuclear plant, then maybe there is enough of an audience for this unique kind of story. 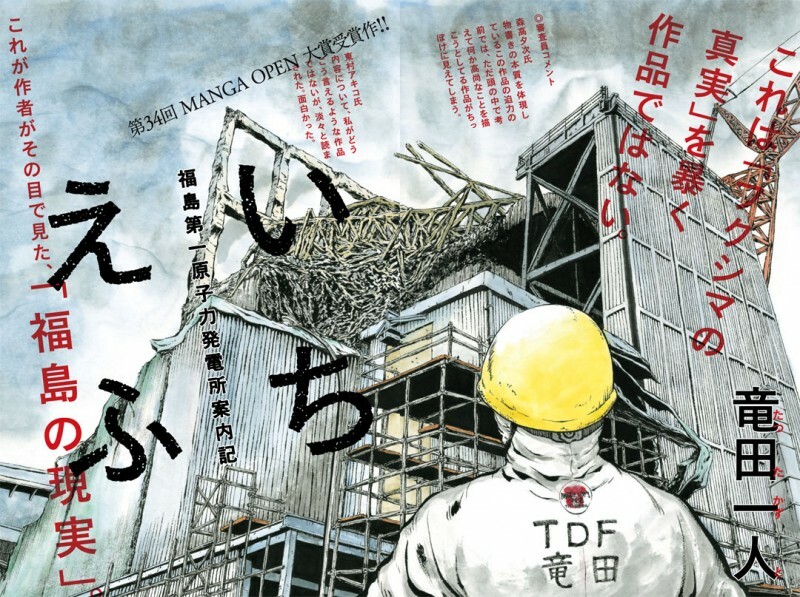 Comic artist Kazuto Tatsuta (not his real name, for obvious reasons) decided to work at the plant, the site of one of the worst nuclear accidents of recent times, from June to December 2012 as he was still a struggling manga artist back then. He was inspired to create 1F: The Labor Diary Of Fukushima Dai-ichi Nuclear Power Plant (“Ichi-Efu”), which gives the public a very rare and unique look at how the workers cope with working in one of the most dangerous places in the country right now. But for them, Tatsuta explains that it is not really “hell on earth,” but rather a day-to-day careful routine to ensure that they will be protected from the constant radiation. He said it was just like any other construction job, and there was no real sense of physical danger because radiation is something you couldn’t see. But he had to stop working at the plant later on because he was already nearing the annual legal exposure limit of 20 millisieverts. Kazuto Takita, a former laborer at the Fukushima Daiichi Nuclear Power Plant after the March 2011 earthquake and tsunami, debuted a manga series about his experiences in the 48th issue of Kodansha ‘s Morning magazine on Thursday. The manga also debuted on the same day in Kodansha ‘s digital magazine D Morning . The manga Ryūta is writing is titled 1F: Fukushima Daiichi Genshiryoku Hatsudenjo Rōdōki (1F: Fukushima Daiichi Nuclear Power Plant Work Log). The 1F in the title stands for the numerical designation for the Fukushima plant. After the earlier “1F” one-shot was published on October 3 and caused a huge stir among the public, the decision was quickly made to turn the story into a full series. 48-year old Kazuto Takita was a laborer at the powerplant after the 2011 earthquake and tsunami, and he received the grand prize in “34th Manga Open,” a competition that Morning organized to find new talent. 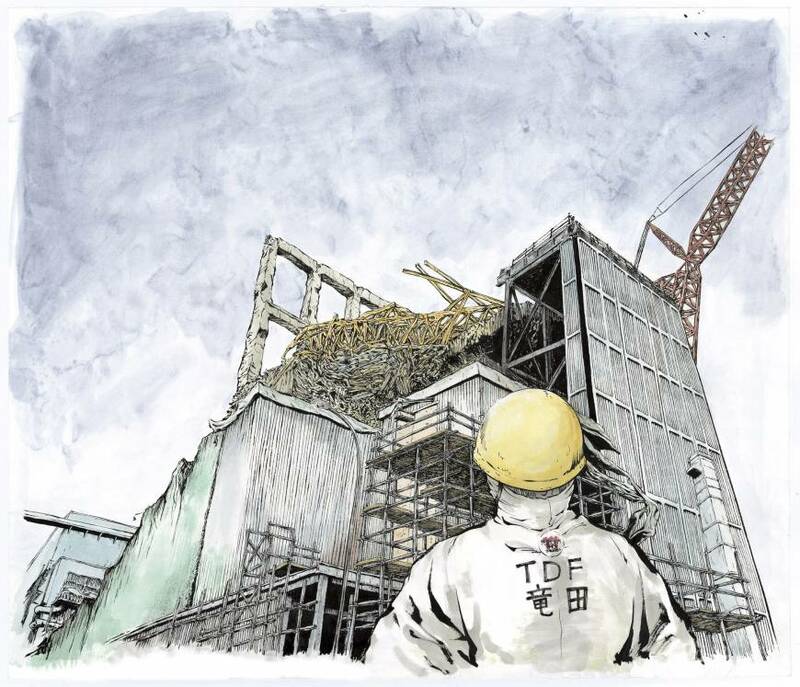 The graphic novel “1F: The Labor Diary Of Fukushima Dai-ichi Nuclear Power Plant,” (いちえふ ～福島第一原子力発電所労働記～) offers a rare peek into the plant which was hit by one of the most powerful tsunamis in Japan’s history on March 11, 2011. Tatsuta’s manga won the 34th Manga Open award in 2013. Tatsuta stressed that he does not want to glorify them but insists they deserve to get paid more. The work starts at about ¥8,000 a day, although it goes up to ¥20,000 per day for the most dangerous tasks. You can leave comments by clicking here, leave a trackback at http://cartoon.joff.jp/wp/wp-trackback.php?p=46 or subscribe to the RSS Comments Feed for this post.